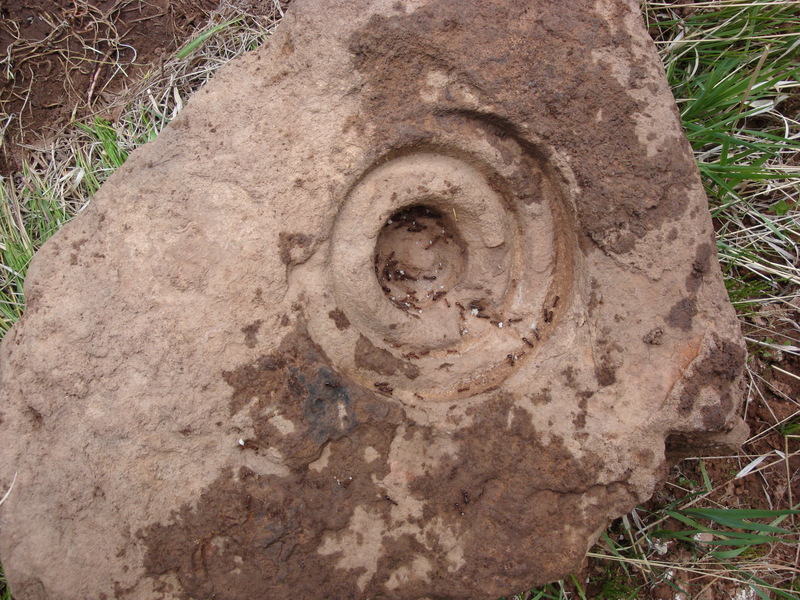 Artifact in stone in the Zuni Mts. What is it? 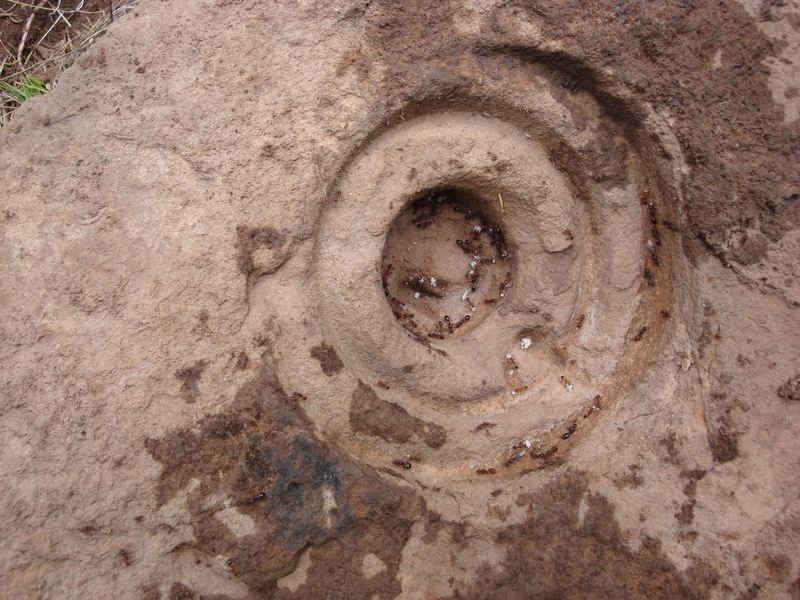 During my recent field trip that included some time in the Zuni Mountains of New Mexico I was turning rocks looking for beetles as usual and found the rock in the images below that has a peculiar set of concentric circles cut into it. I assumed that it was done by some drilling tool used in mining or road building since I found it near a bridge. However, I haven’t been able to match it to anything specific and there is some small amount of doubt in my mind, leaving open the possibility that it is an artifact of the Native Americans in the area. I haven’t been able to find anything matching it in my searches of Zuni art. I favor my first guess, but would like to know what sort of tool makes such a mark or if it is a Zuni piece, that would be cool too. If anyone knows the answer please tell me. Whatever it is, it makes a good house for the ants. I'm an insect systematist with expertise in carabid beetles, who is always happiest in the bush.